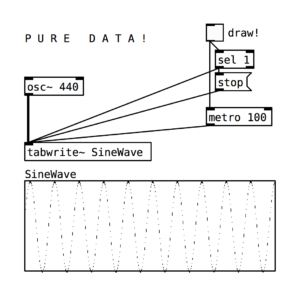 [August 18] Experience Lab: Interactive Play with Pure Data! 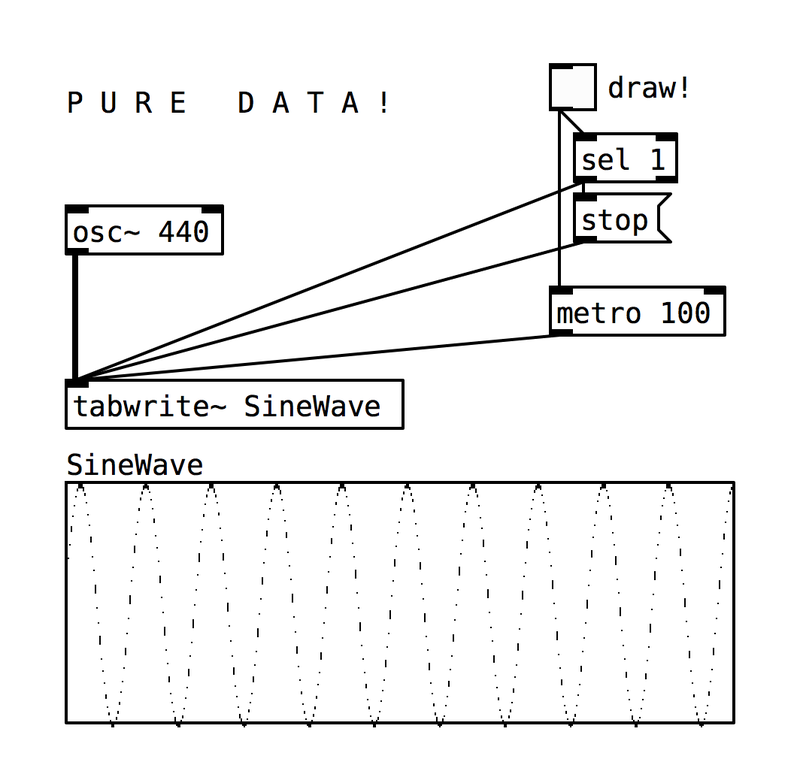 Come play with interactive Pure Data patches and learn about the visual programming platform Pure Data! Pure Data is an open source visual programming environment that runs on anything from personal computers to embedded devices (ie Raspberry Pi) and smartphones (via libpd, DroidParty (Android), and PdParty (iOS). It is a major branch of the family of patcher programming languages known as Max (Max/FTS, ISPW Max, Max/MSP, etc), originally developed by Miller Puckette at IRCAM. We will be giving a presentation on history and applications of Pure Data and providing interactive patches for free play and exploration! We will also provide more information on Pure Data and field any questions after the presentation. Kat Carlsen studies composition with a focus in electronic music at Sarah Lawrence College and is interested in experimental music and exploring the intersections of art and technology in their musical practice. Virginia de las Pozas is a graduate student in the Music Technology program at NYU Steinhardt. 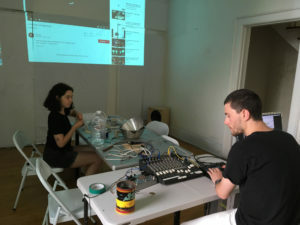 She is interested in computer music and experimental interfaces for music performance.